Injuries that Took Time to Reveal Themselves. You probably know that in contrast with prior wars, the continuing war in the Middle East is creating relatively many more injured soldiers. The medical and human costs of their injuries have been high. 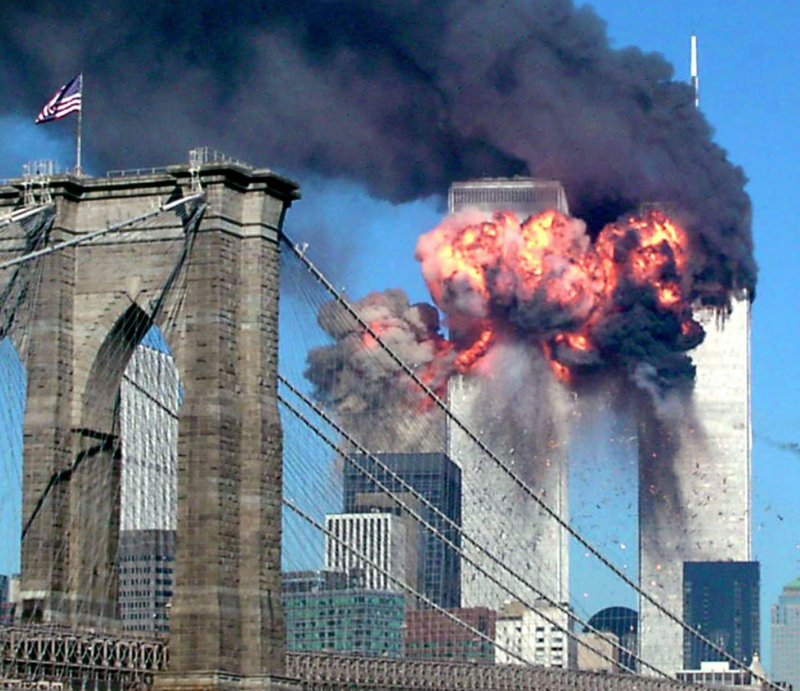 The health effects of the attacks on the two World Trade Center Towers seemed more like earlier wars. Three thousand people died, and few people reported to the hospitals with visible injuries. Those who were burned or buried by the Towers, including many NYPD and NYFD rescuers, mostly were killed in seconds or minutes. The hospitals were all standing by after the 9/11 attacks, but they had little to do compared with expectations. Few injured people survived to take to the hospitals. In fact, the rescuers did suffer illnesses and injuries, but in most cases they took months to show themselves. I am interested in this subject because in the aftermath of both the 1993 and 2001 attacks on the World Trade Center, as Chief Economist for the New York City Comptroller, I was asked to assess the economic damage caused by the attacks. I maintained then, and still believe, that there would be a long tail to the indirect economic effects of the attacks. This would be consistent with the impact of recent wars in the Middle East on the American military. My friend Peter F. Rousmaniere (pfr@rousmaniere.com), a risk-management professional who writes frequently on occupational risks, studied the problems of the surviving World Trade Center workers and rescuers. He tallied the problems they faced in seeking compensation for illnesses they contracted that they believe are attributable to the conditions under which they worked at the WTC site. 1. Safety Enforcement at Ground Zero Was Poor. Enforcement of safety was well below recognized standards, even after making allowance for the scale of the challenge. It was long after September 2001 before officials formalized even a basic safety plan. 2. No One Monitored Workers' Health. Even though it was well known that rescue workers were vulnerable to slowly emerging diseases, their health and exposure was not monitored – by employers, insurers or the City of New York. This failure greatly increased the uncertainty today about the health status of tens of thousands of workers. It is axiomatic that workers exposed to high levels of toxic materials should be monitored regularly for their health status. The only workers who were monitored carefully were New York City firefighters. Tens of thousands of workers were allowed into ground zero in September 2001 and the weeks following without any check on their existing health status, which makes it difficult to do a before-and-after analysis. There was an inadequate attempt to check up on them soon afterwards. Confusion today about the actual health status and prognosis of these workers can be directly linked to the absence of medical surveillance from the start. 3. The Workers Compensation System Collapsed. The State system was inadequate as a provider of medical and disability support, which inflamed demands for support from the Federal Government and through judicial awards. The workers compensation system of New York was created in part out of reaction to the 1911 Triangle Shirtwaist fire. Since then, the system has restricted access to persons who acquire diseases at work, such as lung conditions and post-traumatic stress disorders. Substantial numbers of World Trade Center workers have symptoms of these diseases. Workers compensation law is expressly designed to frustrate claims arising from disasters except from those whose full-time work is emergency response. Not until 2006 was the law amended to give these workers fairer access to benefits. 1. Define Who Is in Charge of Disaster Sites. In advance of emergencies, a plan should identify organizations and leaders who have the resources, knowledge and training to carry out the response. New York City in 2001 prided itself on its readiness for emergencies. But its expensive emergency center was in the World Trade Center itself and was destroyed. It missed basic steps. The Federal Government responded slowly and inadequately. If a professional New York City failed, what hope do other cities have of responding on their own? 2. Install a Federal Medical Monitoring System. The system should take in all workers responding to emergencies. 3. Create a Federal Program to Compensate Disaster Workers. Legal barriers to benefits from the state workers compensation systems exist in most states. Rousmaniere concluded that in the absence of these actions, the price in death and disability among workers responding to a pandemic in the future may be high. Workers might otherwise not respond in future with the dedication that they showed after 9/11. Senator Bob Menendez and Congresswoman Carolyn Maloney initially co-sponsored the bill that became the The James Zadroga 9/11 Health and Compensation Act. The bill failed to pass in 2006, but a modified version (after Rousmaniere's articles were published) passed both houses in 2010 and was signed by President Barack Obama at the beginning of 2011. The Zadroga Act provides both health monitoring and financial aid to first responders, volunteers, and survivors of the September 11 attacks. It is named after James Zadroga, a New York Police Department officer whose death was linked to exposures from the World Trade Center disaster. The law funds and establishes a health program to provide medical treatment for responders and survivors who experienced or may experience health complications related to the 9/11 terrorist attacks. A reauthorization bill, sponsored by Senator Kirsten Gillibrand and Congresswoman Carolyn Maloney, passed in 2015, with coverage extended to 2090. In 2016 the first compensation was paid under the Zadroga Act for World Trade Center emergency workers.